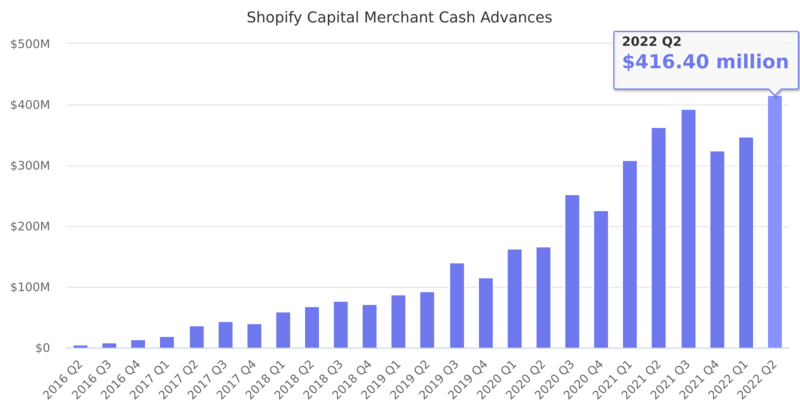 Shopify Capital offers a merchant cash advance service, giving merchants a lump sum of capital for an agreed amount of future sales revenue. Launched in April 2016. Last reported quarter 2018 Q4 it was $71.80 million, up by 81% year-over-year from $39.70 million. From $140.00 million in 2017 it increased by 98% to $277.10 million in 2018.